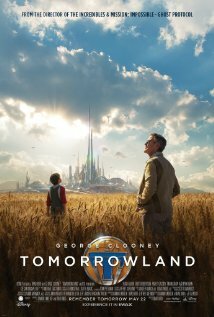 Kingman Historic Theatre: Showing this weekend June 12-14 Tomorrowland! Showing this weekend June 12-14 Tomorrowland! Showing this weekend June 12-14 Tommorrowland!! this movie is rated PG and stars George Clooney, Britt Robertson and Hugh Laurie. All showing will be at 7:30 P.M.